Did someone you loved suffer a broken bone while in a nursing home or other care facility? A fracture is a partial or complete break of a bone in the body. As we age, a variety of factors can increase the risk of bone fractures – including diseases like Osteoporosis, Osteopenia, Osteomalacia, Osteoarthritis, Rheumatoid arthritis, and Paget’s disease. It is important to note that fractures can also be indicative of more serious underlying problems and/or injuries. If someone has sustained a fracture, especially an elderly person, it is important to have the injury treated promptly and correctly to minimize the injury and the potential for further damage. Traumatic Fractures –Traumatic fractures occur as a result of some type of force, like a fall or other accident, and result in several different types of fractures that require medical attention. They are often easier to spot at an early stage, especially if the force that caused it was severe enough to warrant concern. Stress Fractures –A stress fracture occurs as a result of overusing a muscle or group of muscles so that additional stress is passed onto the bone, causing a stress fracture. Stress fractures are not obvious and they can often be overlooked and lead to more severe complications if they are not treated properly. They usually occur in the lower leg and foot. Spontaneous Fractures –Spontaneous fractures occur without force or trauma. Typically, they are a result of disease like osteoporosis that cause a reduction in bone density. Also referred to as compression fractures, they occur as the result of an existing condition. It is important to understand the differences between different types of fractures so that you know what circumstances could have caused them. 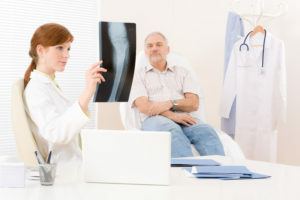 Lack of prompt diagnosis of underlying diseases or other conditions that could lead to fractures, including injuries that may have resulted in a fracture. It is important that any injury that a nursing home resident suffers be taken seriously. Overlooking injuries or the potential for injuries can compromise the care a person receives in a nursing home setting, and patient safety should be a nursing home staff’s primary concern. Often, a lack of attention to important details can result in serious illness or injury that could mean the nursing home is liable for illness of injuries occurring as a result of their negligence. Nursing home facilities should have appropriate health plans that ensure resident needs are being met appropriately. These include ensuring the proper diet for residents suffering from diseases and treating any injury promptly and correctly. 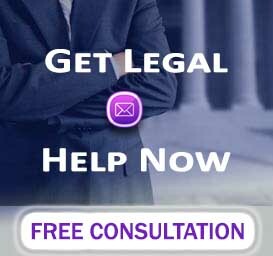 When inappropriate actions cause an injury or the appropriate steps are not taken to address an injury, it is possible for patients or their loved ones to seek compensation for such injuries depending on the circumstances.